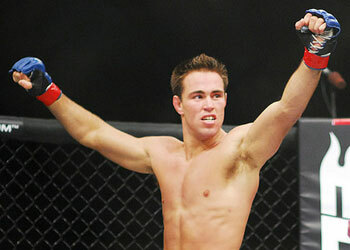 Although Jake Shields made his career as a welterweight, he will be taking on Strikeforce middleweight king Robbie Lawler at a catch-weight fight of 182 pounds. If he can walk away victorious on June 6th, he would like to explore the path towards 185-pound crown. “I’ve got a really tough fight with Robbie Lawler,” Shields said. “I’m trying to get through that and then figure it out. If I win, it definitely makes me want to try to go for the 185-pound title. One of the many benefits that Shields has enjoyed throughout his career is the fact he is a big welterweight, often able to overpower his opponents to the ground. However, before any of that can happen, Shields needs to take down the revitalized Lawler. The Cesar Gracie trained fighter knows just how dangerous his opponent is, but he is doing all he can to make sure he’s gonna be ready. “It is (difficult to prepare for Lawler), but you just go out there and fight and deal with it,” Shields said. “Certain guys are hard to mimic their styles, but all you can do is train on your end and go out there and fight is the way I look at it. With aspirations of taking over a bigger weight class on his mind, what better way to provide answers then to take on the organization’s best at 185?